A three-step method for finding courage and trust in any life situation. “For us to be of benefit to each other—in times of challenge or any other—we need to be able to tap into genuine confidence,” teaches Pema. Unconditional Confidence offers timeless wisdom and inspiration for developing this courageous skill for whatever life presents us. The content is great - Pema provides wonderful insight. My only complaint is that the engineers at Sounds True didn't spend more time cleaning up the audio. 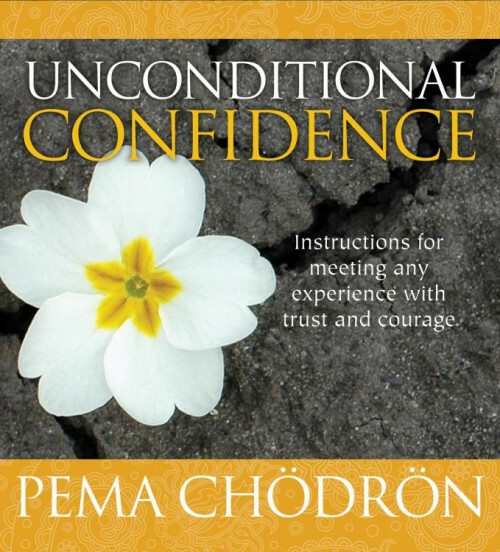 As an older, soft-spoken woman, Pema is hard to understand many times throughout.